We're Participating In The RIPE Atlas Program! 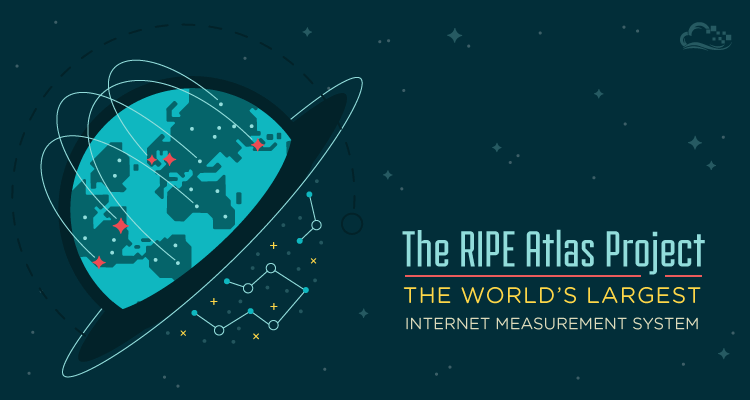 We're proud to announce our participation in the RIPE Atlas project – the world's largest Internet measurement network! The idea behind our participation is pretty simple: we host a few servers dedicated to running measurement tests administered by the Atlas network; in return, we get access to every other Atlas server around the world – well over six thousand to date – to run our own performance tests. This allows us to test and validate access to our data centers from thousands of locations around the world in just minutes! It's an honor to participate in the program, and to be able to give back by contributing to a program that many others can benefit from as well. We initially got involved with RIPE due to their responsibility of allocating IP space in Europe, as one of the five global Regional Internet Registries (RIRs). Our networking team came across a post on their portal requesting participants in their Atlas program: a global network of thousands of probes that measure Internet connectivity and reachability, providing an unprecedented understanding of the state of the Internet in real time. The entire Internet community can access the data collected by the network, as well as Internet maps, graphs and analyses based on the aggregated results. There are two types of Atlas nodes: probes, which are smaller servers that just about anyone can run; and anchors, which serve as the solid foundation of the network. DigitalOcean is running Atlas anchors at our SFO1, SGP1, and LON1 sites, as these were the regions with the least amount of overlap. As we continue to expand, we'll be in communication with RIPE to see if anchors are necessary in new locations. We've only just begun harnessing the benefits of the Atlas network. Our engineers are currently working on ways to integrate this new distributed measuring ability with our existing systems to better detect Internet connectivity issues before they become problematic for customers. Previously, we've had to rely on intermittent data collected from customers to troubleshoot regional Internet disruptions. Soon, we'll be able to automate connectivity and throughput testing from just about anywhere in the world!